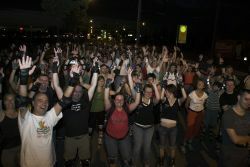 Blade Night – Nachtskaten Dresden – Das Dresdner Nachtskaten, veranstaltet vom Förderverein Dresden skatet e.V. 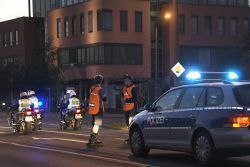 Besides kennel Golden Rider and of course the Frauenkirche Dresden also has a lot to offer athletic. 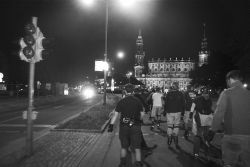 The Dresden Night skating is an established sports event since 1998 and to some extent also the craziest city tour in the Saxon capital of Dresden. 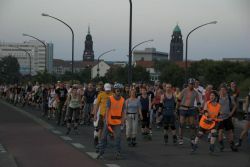 The Night skating is considered the first event of its kind in Germany and third world. 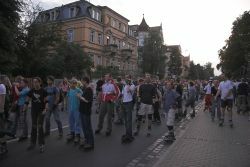 An average of about 3,000 participants inline skating ventures into the craziest city tour past the sights of Dresden. 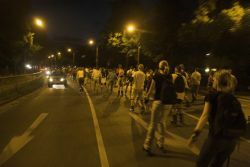 But the Dresden Nachtskaten itself is worth seeing: many visitors of Florence on the Elbe rub their eyes when thousands of people rolling on skates through the city, waving behind the bunch. To a total of five different routes, which are operated alternately, will not be bored. 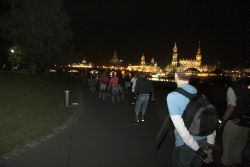 Accompanied by the music and the mobile catering Dresden Night skating is traveling about 2 hours on the streets in the „Elbe“. 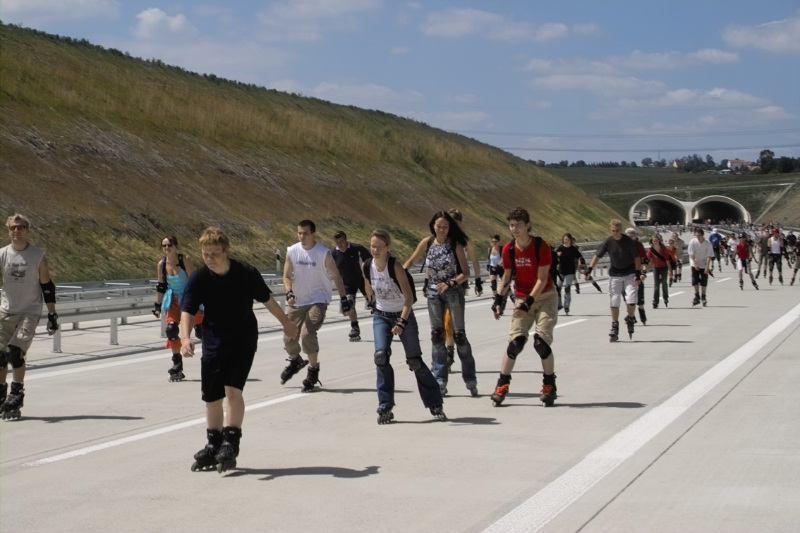 The lines 15 to 25 kilometers in length are suitable for all ages. Place high value on the family-friendly organizer. 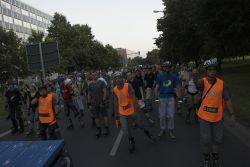 „We deliberately keep the pace to tolerable levels of about 15 to 20 km / h in order to not exclude beginners and not so skate-savvy participants from the outset must“ says Matteo Böhme, club chairman of the organizing Friends of Dresden, skating eV He can thereby rely on the help of about 30 volunteers Odnern and helpers who ensure safe roles in all ways. 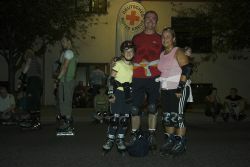 Anyone can participate, the fit feels on inline skates and it trusts stamina. 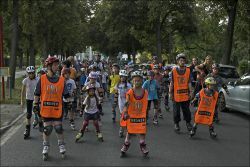 „We recommend a protection and to wear a helmet,“ warns skaters mother and founder Barbara casual. However, with injuries immediately rescue the DRC are on hand to provide the participants with large and small scratches. Start and end point of the Dresden Nachtskatens the halfpipe at the Lingnerallee located in the heart of Dresden, just a stone’s throw from the Dresden City Hall. 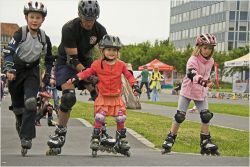 Before the actual start you can at the skate park Lingnerallee pass the time, to strengthen with sausage or other snacks or follow the framework program and the action stalls the Nachtskatens. 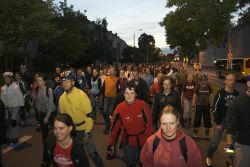 Meeting has taken place every Friday evening from late April to late September at 20:00 clock, the start of the round clock at 21:00. 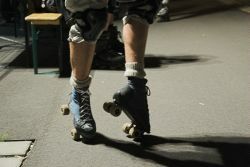 See you Friday night at the skating, Dresden rolls … and what are you doing?